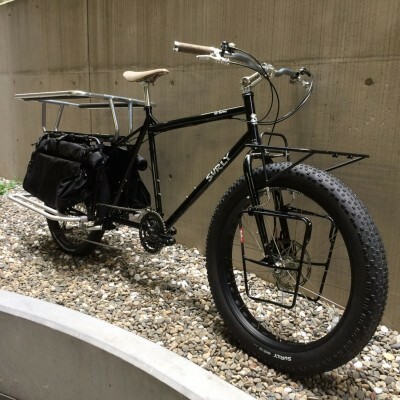 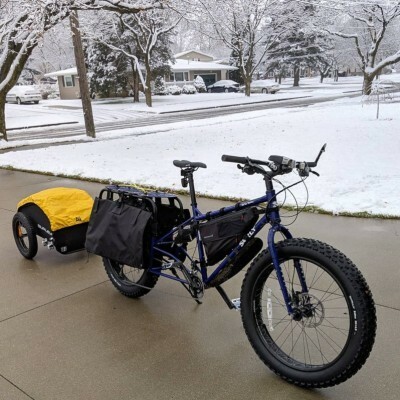 Big Fat Dummy is a fat-tire, long-tail cargo bike that took a few too many doses of growth hormones. 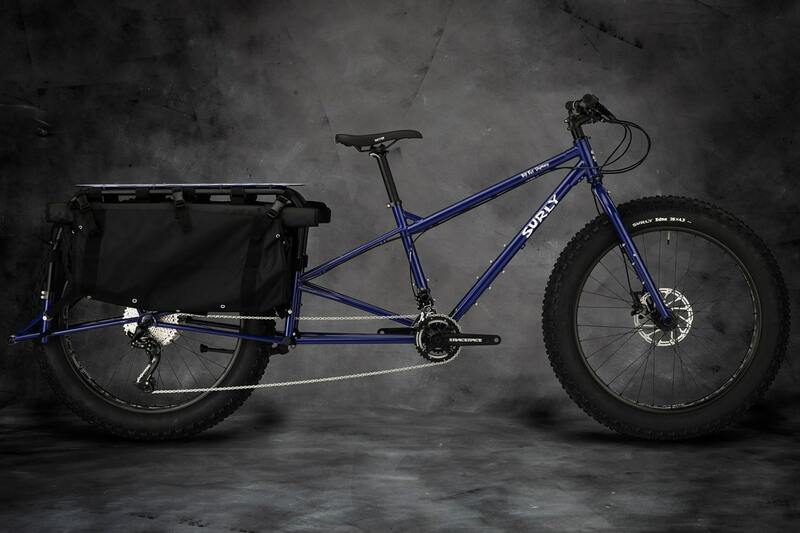 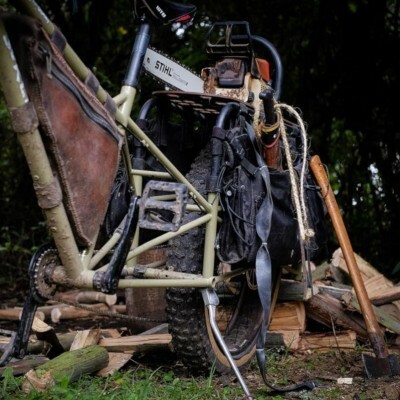 Big Fat Dummy is truly a hulking beast of a bike. 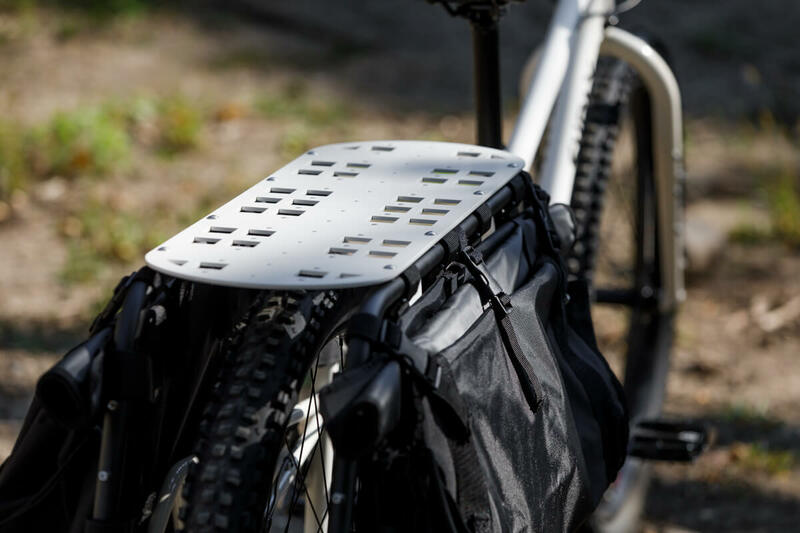 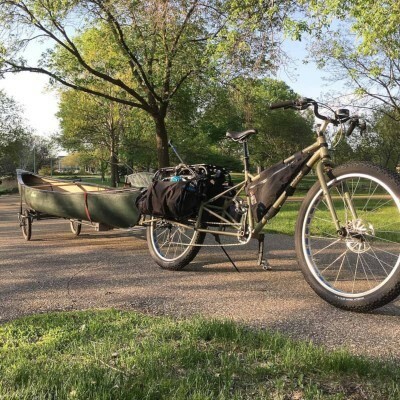 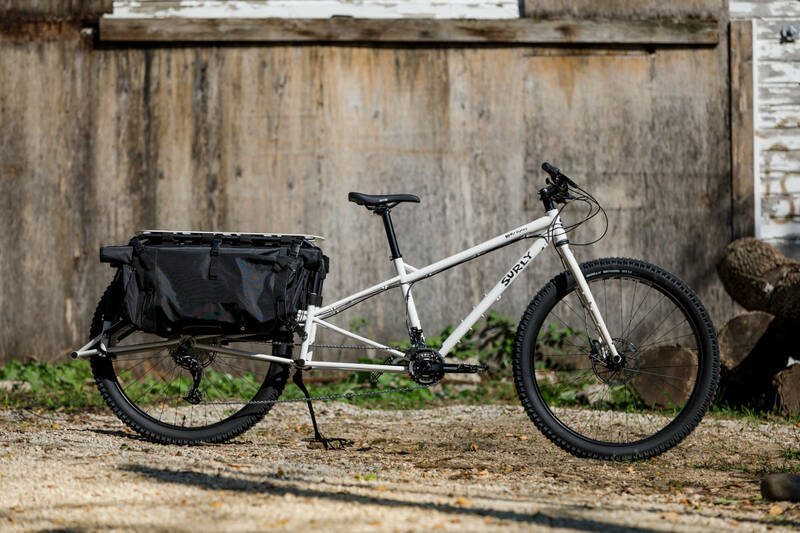 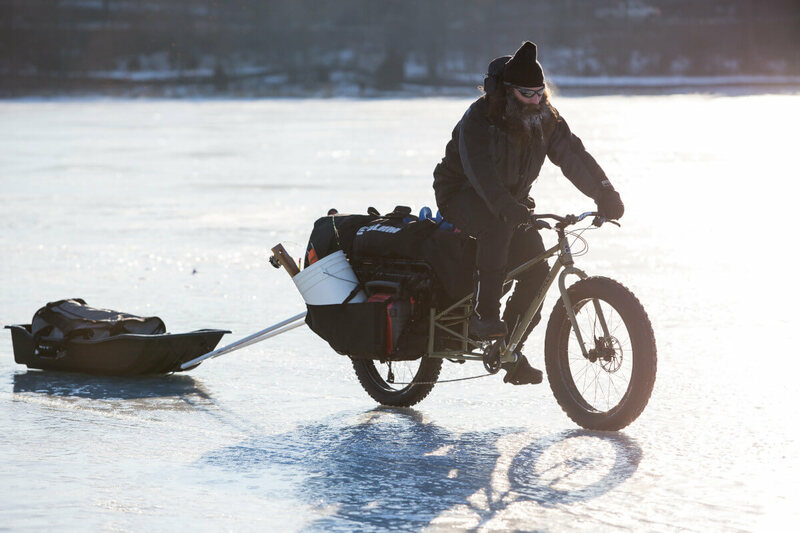 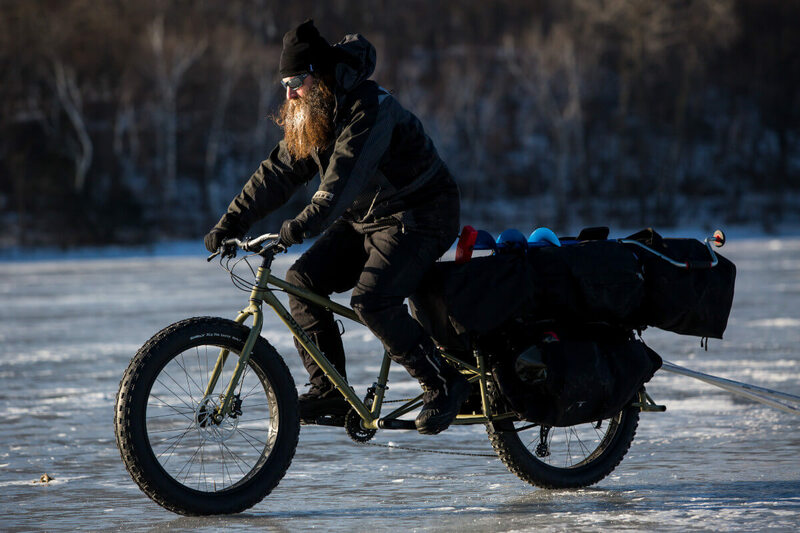 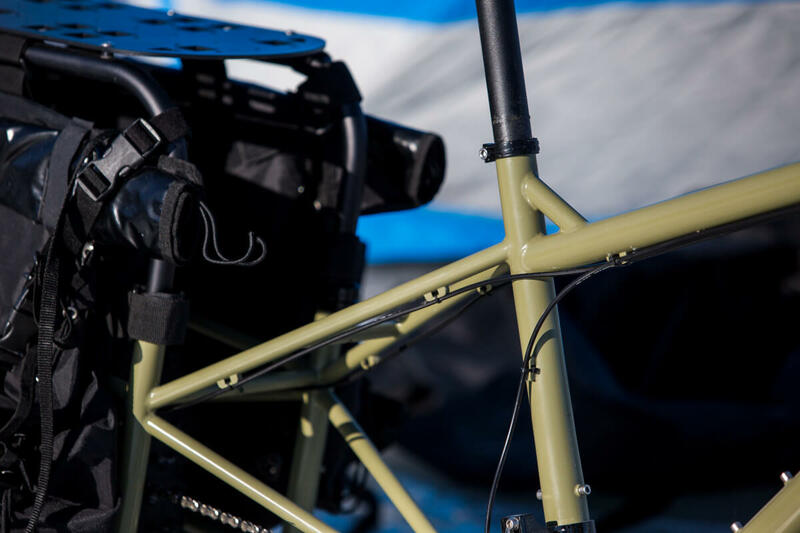 Maximalist bikepackers, those looking to make bikepacking a family affair, and those that help maintain their local trails will appreciate the Big Fat Dummy hauling abilities. 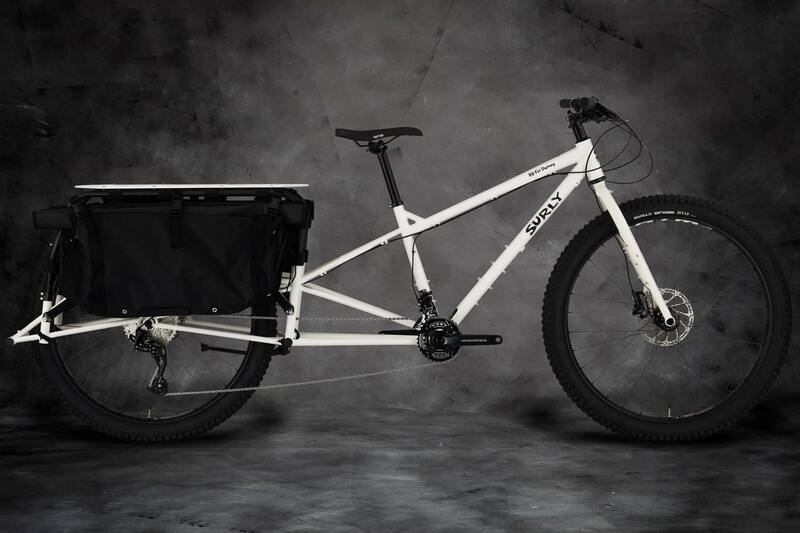 At first glance, it might just seem like a beefed-up version of Big Dummy, but that’s actually not the case. 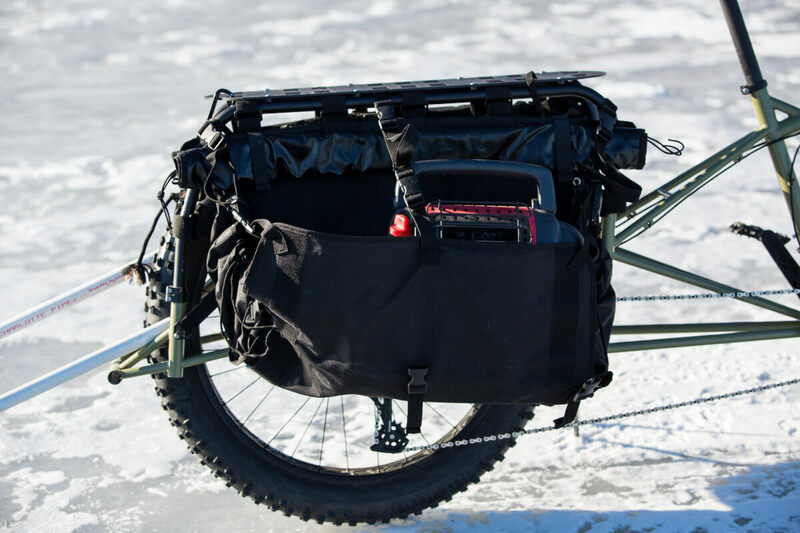 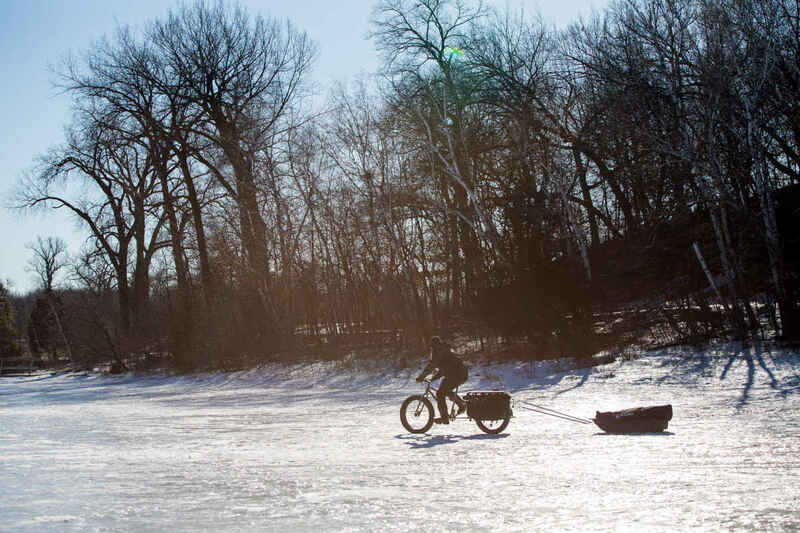 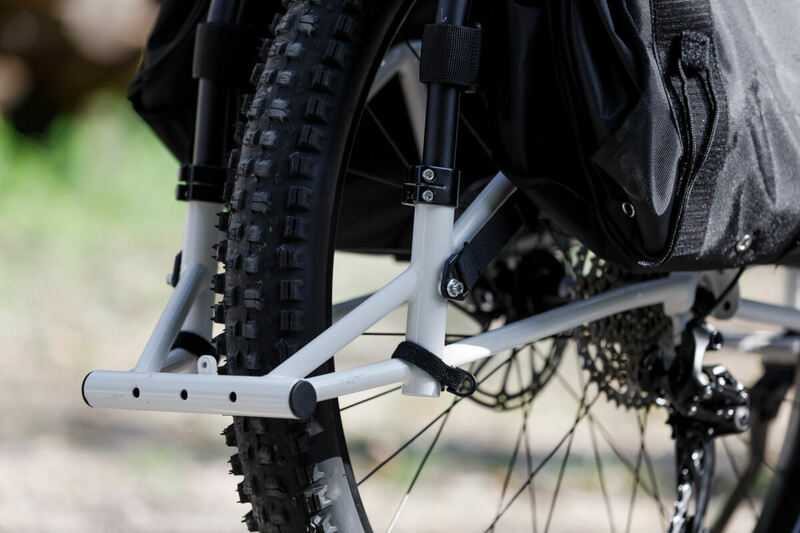 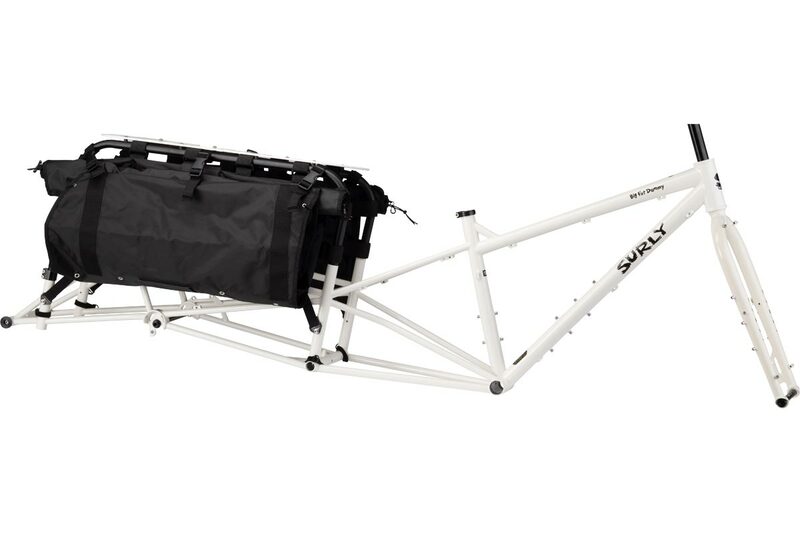 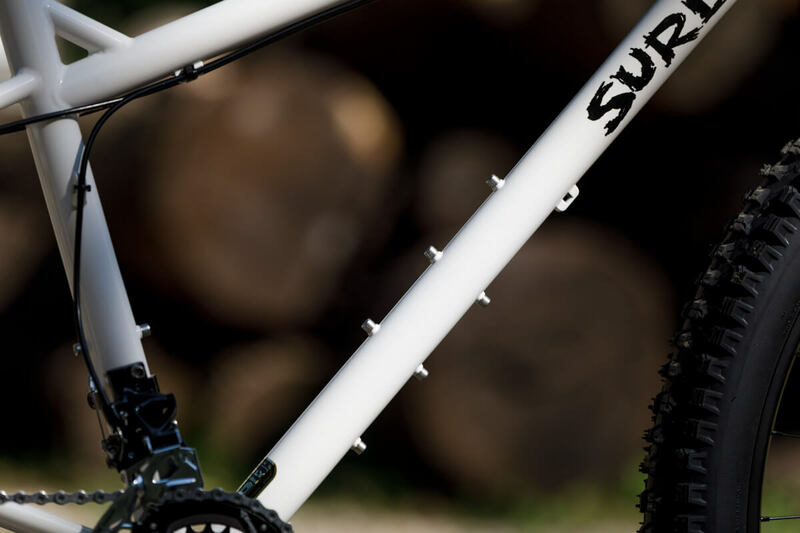 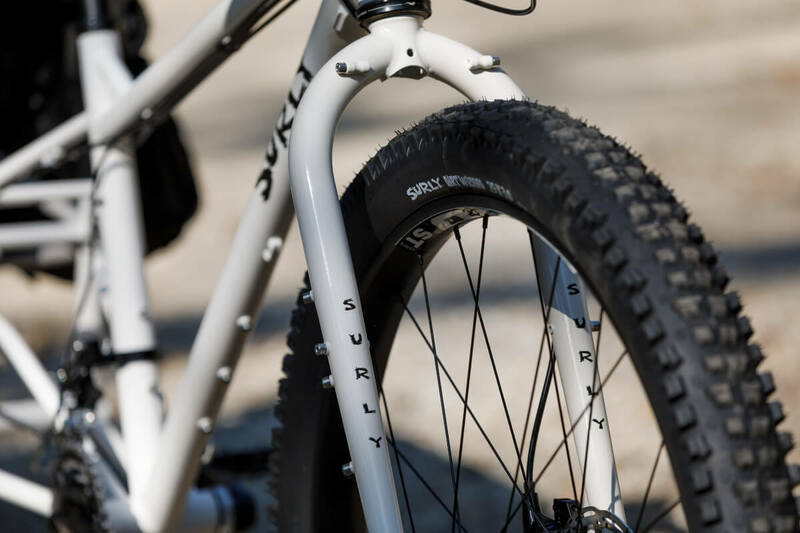 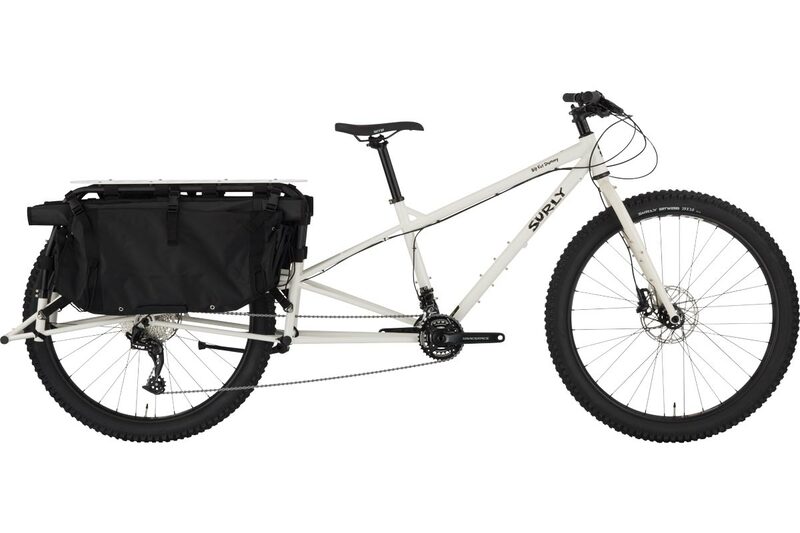 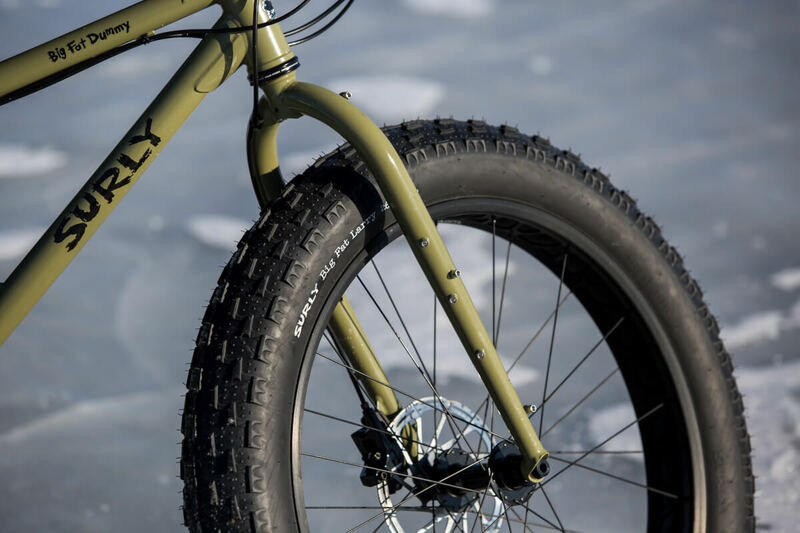 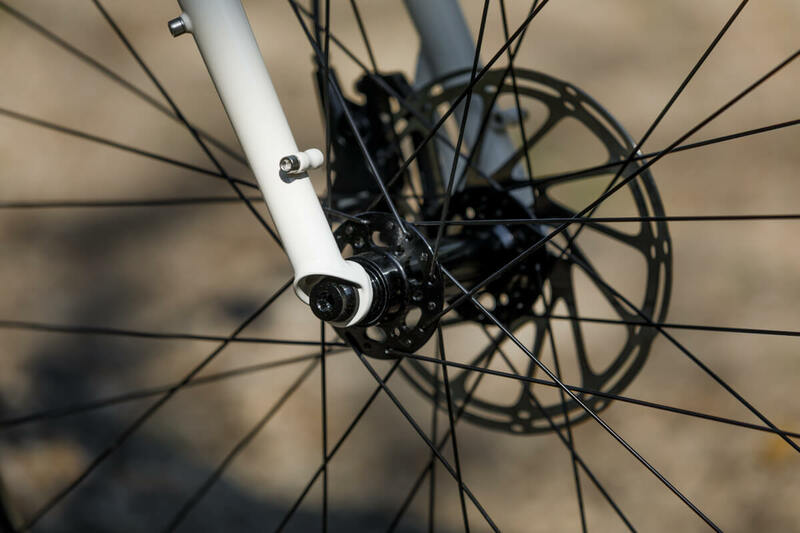 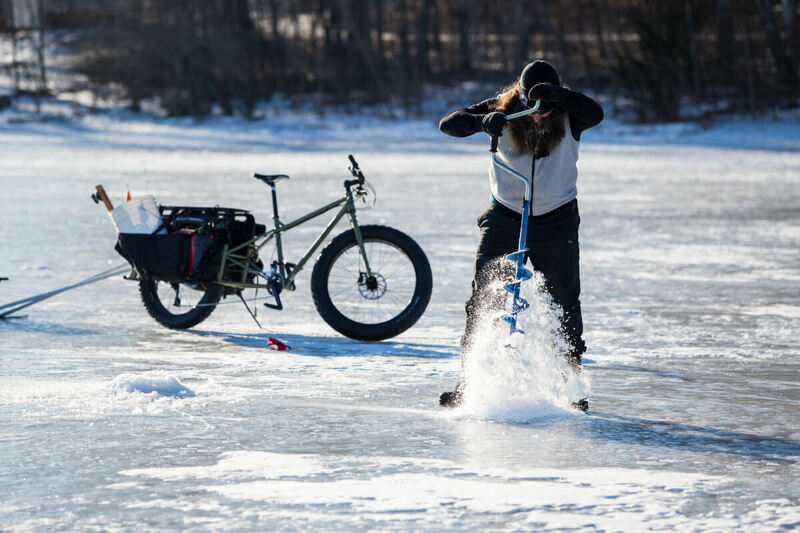 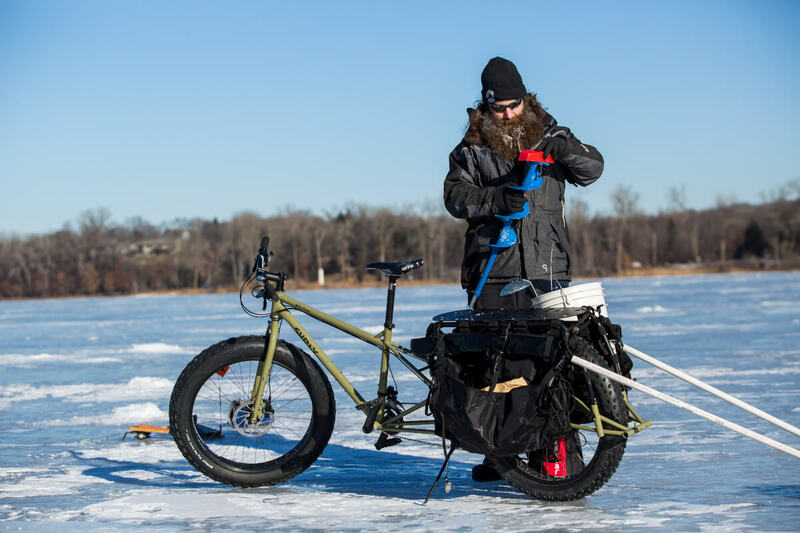 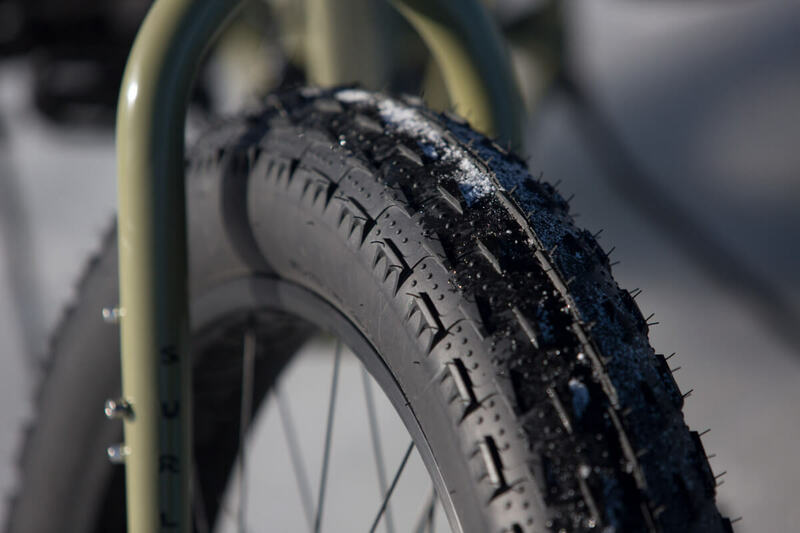 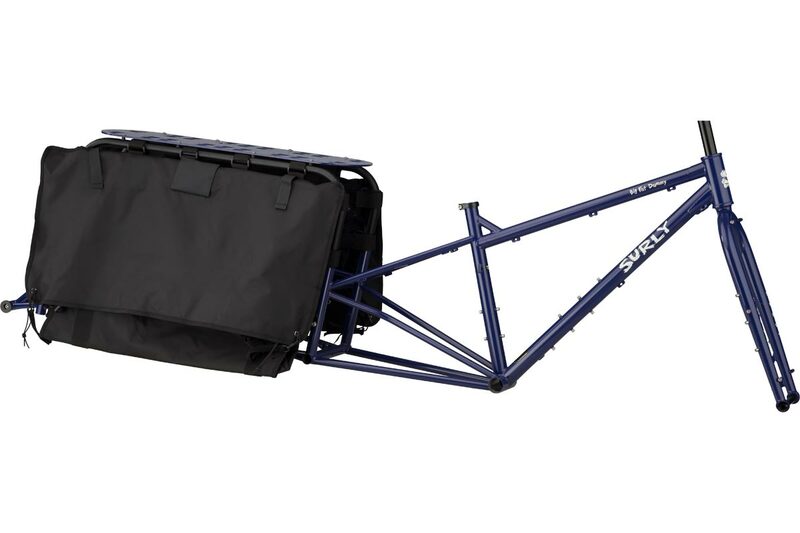 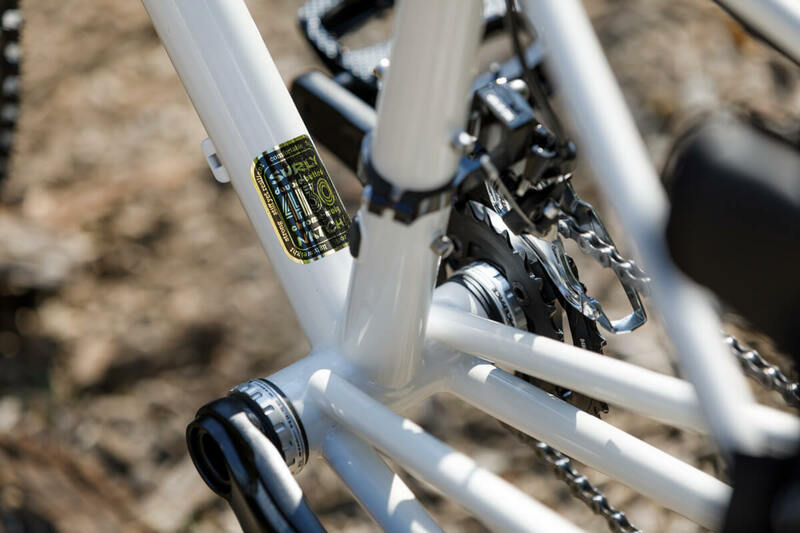 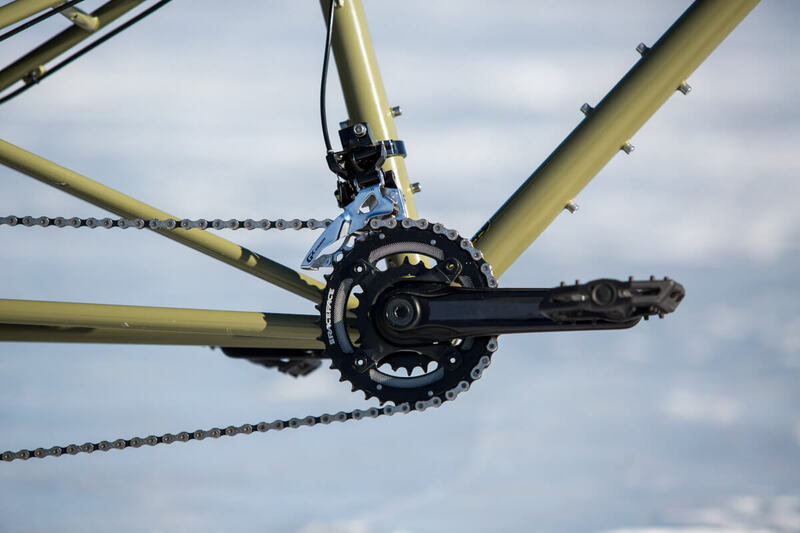 Specifically designed around fat tires, it has a longer toptube and slacker headtube offering the most stable, stiff, and predictable ride possible while hauling a lot of cargo. 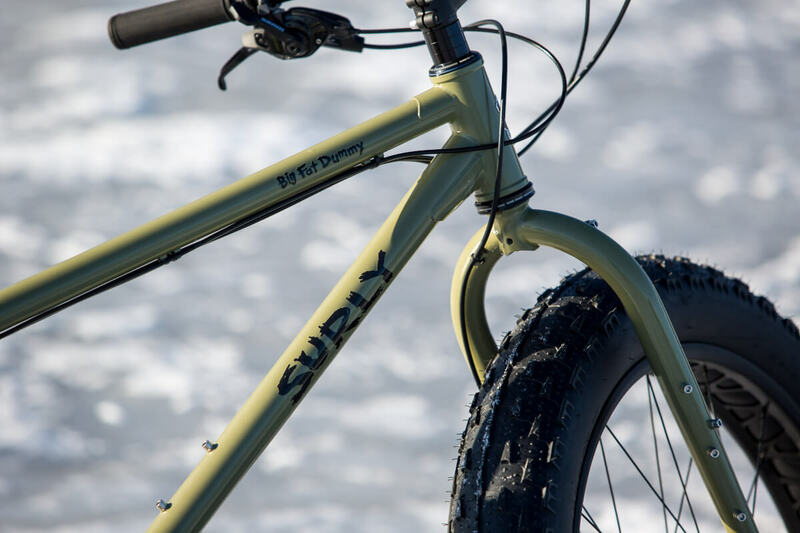 NOTE: The Big Fat Dummy is only available in three sizes, which is a departure from our normal way. 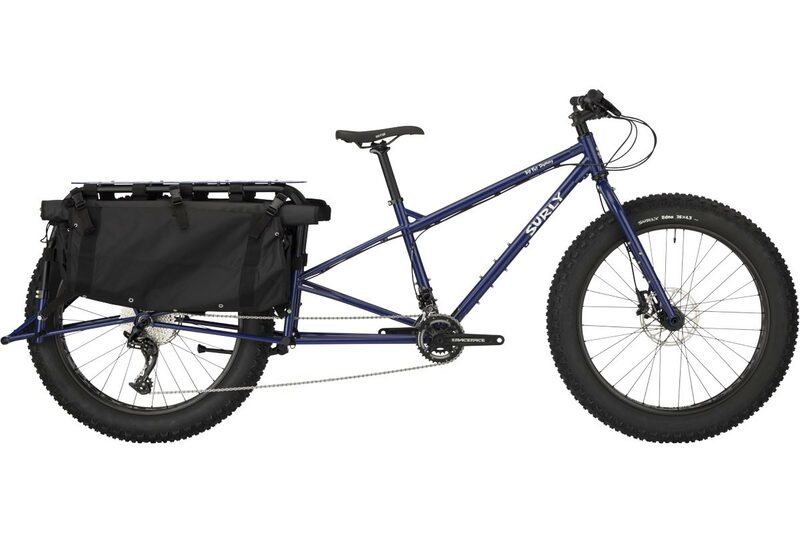 Here’s the thing, its sizing and fit is a little different than other bikes. 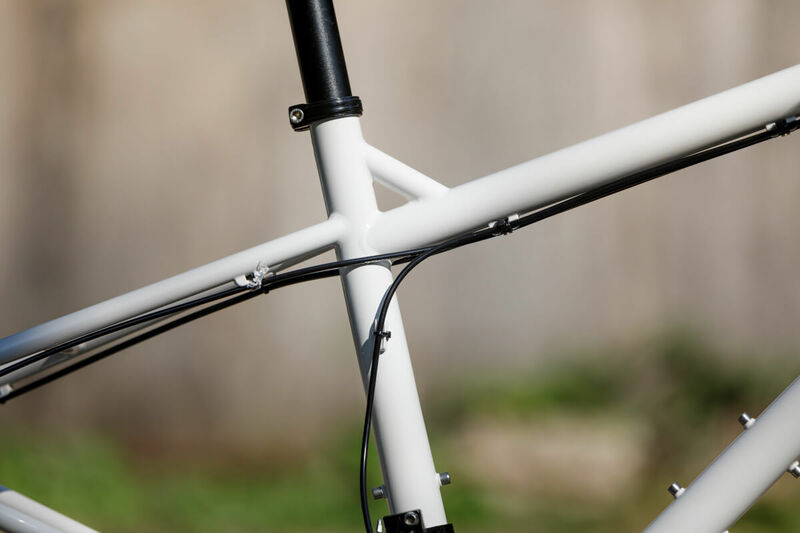 By using shorter seat tubes with a longer seatpost, two people of different heights can ride the same size frame. 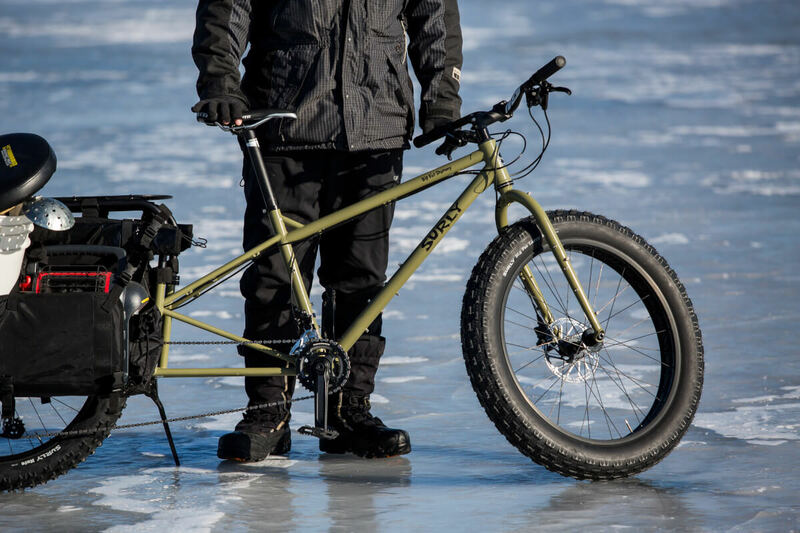 We found it works pretty well – hell the Large size even fits Sov. 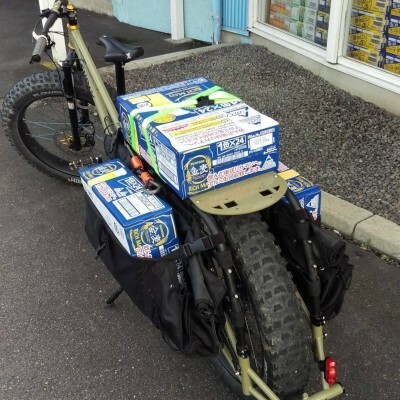 And nothing fits Sov.